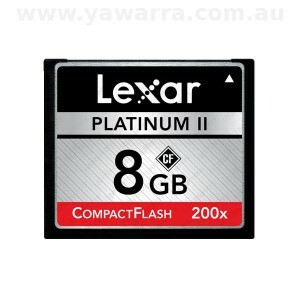 Lexar, in their infinite wisdom, have decided to discontinue their 8GB Platinum II Compact Flash card. We’ve bought up on stock, but once our supply runs out, we won’t be able to get any more. So the smallest card they now manufacture in the Platinum II range is 16GB, or they have 256GB cards in their Professional range. They’re kind of big Compact Flash cards for a pfSense® software install that only takes up 512MB, so we’re currently looking for other options. At the moment, the Kingston range looks promising and they currently offer a 4GB and an 8GB CF card in their standard range. We’ve heard good reports from others regarding the quality and compatibility of the Kingston cards, and we’ve also had some success ourselves using Kingston cards with our boxes, as an alternative to SanDisk cards that don’t always “play nice” with the pfSense® system. So we should be able to continue offering small CF cards that are ideal for using monowall and pfSense® software on our boxes.